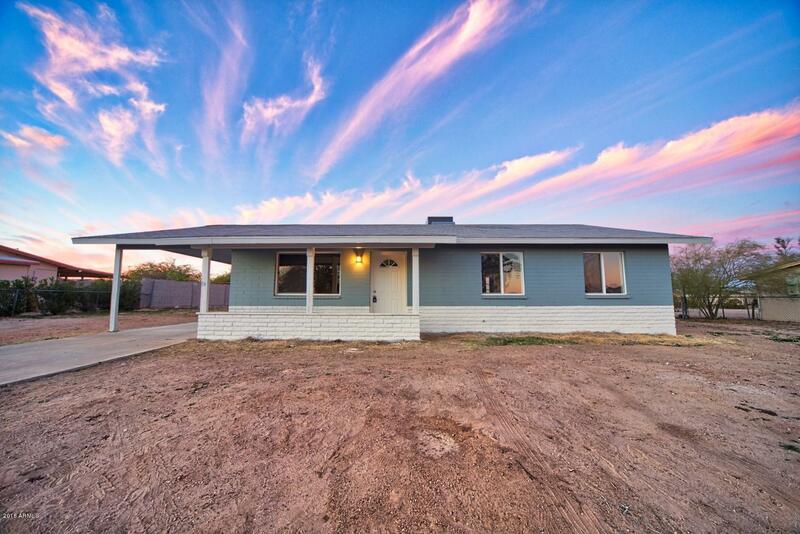 This remodeled home QUALIFIES FOR 100% FINANCING with USDA loan. Ask your lender for details! Complete with 3 bed, 2 bath, carport space, plenty of space for a RV gate, living/dining area, and neutral paint throughout the entire house. NEW kitchen and ample cabinets and QUARTZ counter space. Inside the master suite you will find a full bath and closet. BRAND NEW DUAL PANE WINDOWS and BRAND NEW AC SYSTEM! Huge backyard, separate work-shop/laundry room, and so much potential to get creative and make this place your own. Don't let this great opportunity pass you by. Hurry to see this property today!